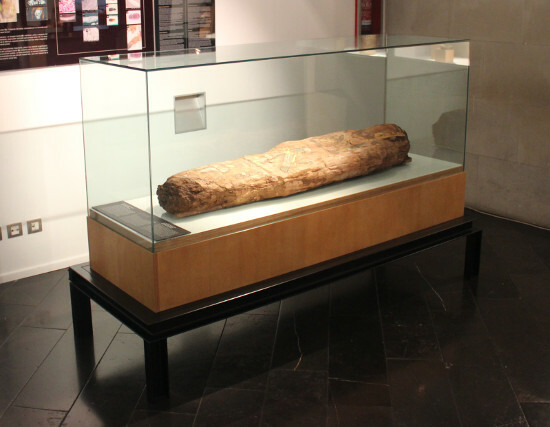 The role of the Egyptian Museum of Barcelona, is to expose through its more than 2000 square meters, a private collection of first order in Europe, whose background is ancient Egypt, trying to bring visitors, life and customs of the ancient Egyptian civilization. This private museum, is member of the Clos Archaeological Foundation, committed to the nonprofit research, study and dissemination of ancient Egypt. 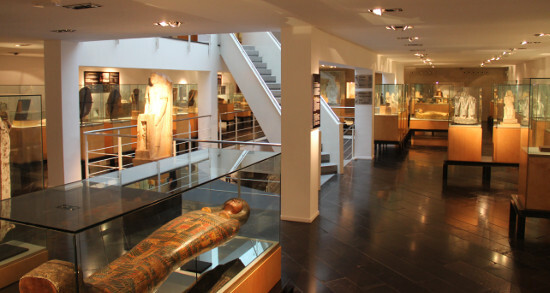 The foundation offers other services in addition to museum activity, such as academic training, the organization of events related to ancient Egypt, a library or a specialized store. Also noteworthy for Philae Theatrum, a theater company that performs plays related to the scope of the foundation. The museum is divided into three floors, with a very nice light in which more than a thousand pieces that are part of the permanent exhibition are divided by thematic. 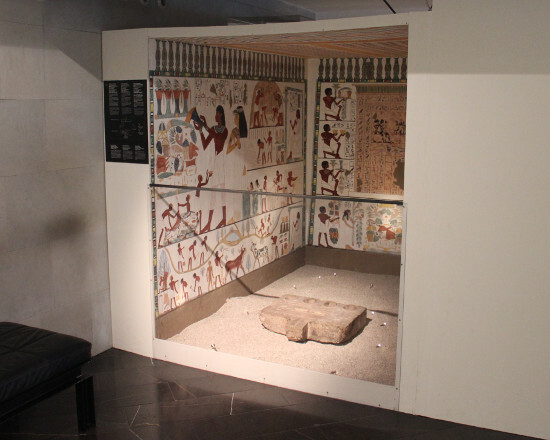 On the ground floor, the visitor finds an exhibition about everyday life in this ancient egypt civilization. As a main element, is the figure of Pharaoh. The museum displays objects related to him like sarcophagus, and other objects whether religious or personal, as well as statues of officials, priests and nobles who helps illustrate the Pharaonic life. Another section shows the arts and crafts of ancient Egypt. The museum displays samples of jewelry with charms, cardboard, necklaces, rings and pectoral. Some of these pieces are a true works of art, where gold, silver and semi-precious stones are used. A section dedicated to the stone and pottery containers exposes complements, vessels and other works of sculpture of great size. 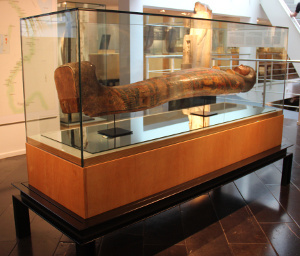 Continuing the permanent exhibition, the tour goes to a plant on the top floor, where visitors will find a section dedicated to the exhibition of funerary practices like mummification and related objects. There are exposed mummified animals accompanied the deceased as well as many objects belonging the process of mummification, as personal items and offerings which the deceased was taken to further exposed. Cosmetic and eroticism, also have their place in the museum since the civilization of ancient Egypt paid much attention to the care of their bodies. Showing visitors the funeral dependencies through tombs, sarcophagi, funerary masks, etc.. There is also a chapel of worship with the back door or the offering table. It should be mentioned that the museum has exposed a replica of the chapel Najt cult, the Astronomer of Amun and a refund based on original pieces of another chapel, corresponding to the Sixth Dynasty. The tour through this plant, ends with worship in the temples and a section devoted to the gods in ancient Egypt. The museum offers guided tours, recommended option as it scrolls through the halls and you will be guided through the museum by the hand of qualified Egyptologists. Saturdays, the museum offers escorted and commented visits that are included in the price of admission, one in the morning and one in the afternoon depending on the language (Catalan or Spanish). If you are interested in arranging a visit for groups, the museum offers an e-mail for reservations. 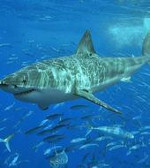 If this is your case have a look at its web site for more information. The museum has a third floor, at the bottom, which offers partners a reading room and a specialized library. In addition, this plant is dedicated to temporary exhibitions. 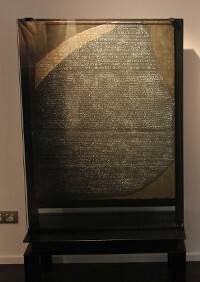 In HappyBarcelona's visit, the Egyptian Museum was exposing "Tutankhamun Story of a discovery." 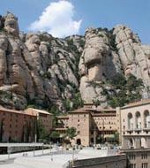 An exhibition dedicated to one of the archaeological discoveries that have attracted the most media attention worldwide. Exposure brings the visitor sufficient objects and photographs to fill the entire plant. It should be noted a model of the tomb Howard Carter and his team found, as well as a series of photographs that tell the adventures of this discovery in the Valley of the Kings. 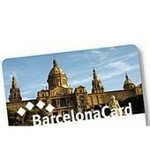 The Egyptian Museum of Barcelona offers a series of visits and evening activities depending on the season. The Banquet Etern (The Eternal Banquet) is a guided tour whose subject is the culinary art of ancient Egypt which includes a tasting of products that were part of their diet. The “Mercado de la Muerte en el antiguo Egipto” (Market of Death in ancient Egypt), shows visitors, who were behind the market associated with funeral rites as well as the preparation of graves, grave goods obtaining or mummification. “Mitos de Creación, fertilidad y sexualidad en el antiguo Egipto” (Myths of Creation, fertility and sexuality in ancient Egypt), is a visit through which the museum try to show the connection between fertility, sexuality and creation mythology. We recommend you to consult the museum's entire schedule for dates and times in the official website. The theater group Theatrum Philae performs various works and dramatized scenes making the visit to get closer even more about the development of life in ancient Egypt. These visits take place on Friday and Saturday nights. In addition to dramatizations included in the visit, the museum offers various works outside program. On the website you will find information and PDF documents that you can download regarding the works. Theatrum Philae is an amateur theater company, responsible for the artistic actions of the Clos Archaeological Foundation. 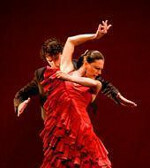 Have a look at their website to inform you, as it is essential to make reservation. 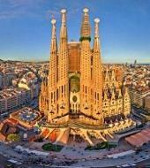 From HappyBarcelona.eu we highly recomment these visits. The museum is in a very central area. In Valencia Street (Carrer Valencia) crossing Passeig de Gràcia. You have a train station RENFE/ADIF and lines 3 and 4 of the metro. 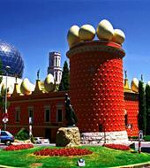 In all cases, the station is called Passeig de Gràcia. 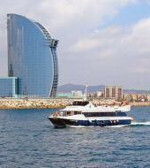 The area also has many bus lines as it is very close to the junction between Passeig de Gràcia and Diagonal avenue (Avinguda Diagonal). 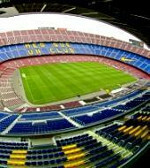 It is a 15 minutes walk from Catalonia Square (Plaça Catalunya). 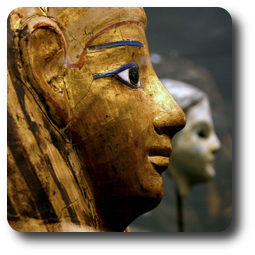 The Egyptian Museum regular schedule is from 10 am to 20 pm except Sunday that closes in the afternoon. Note that most of the year closes at noon from 14h to 16h. On their website you will find all the information about times you need.